The huge eddy that expanded from Southern California reached the Bay Area today, June 24, 2018, making for some of the strongest southerly winds in recent history for June. I will be working on this blog tomorrow. 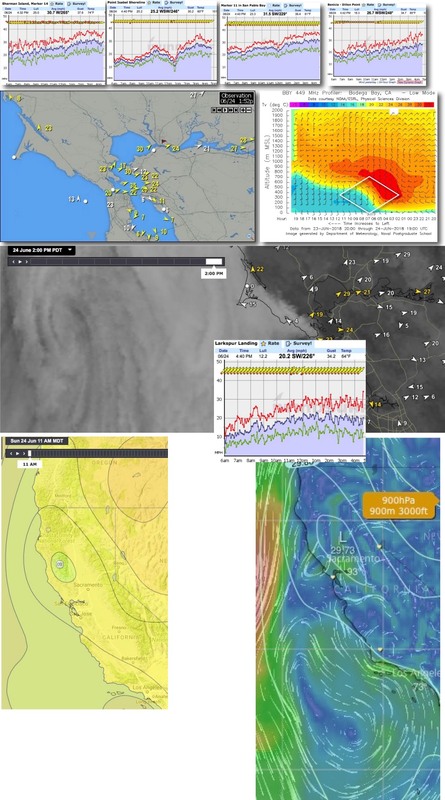 But below are a bunch of images and animaitons of the arrival of the marine surge and its impact on our winds. Be certain to check out the incredible winds at some of the sites which, in the last 15 years, have rarely seen such strong summer winds.